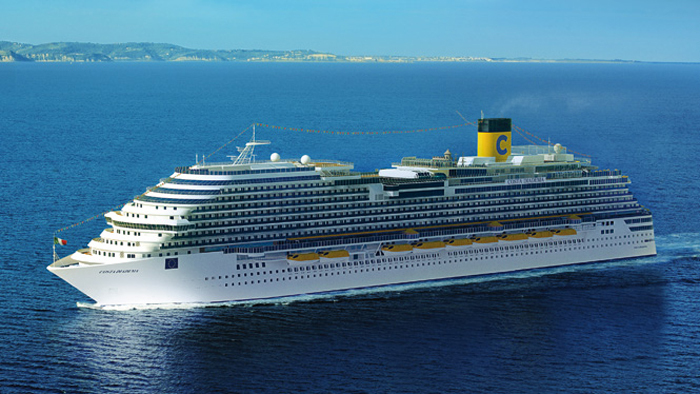 Costa Cruises new upcoming ship the Costa Diadema has had its inaugural voyage announced. The ship is currently being built-in Italy and will be delivered to the Italian cruise line on October 20th 2014. The first cruise the ship will sail will be from Trieste, Italy on Italy on November 1st 2014. The cruise will be for seven nights and is a preview sailing only so that would include media and travel agents. The ship will first have a night over at Trieste and then making stops at Dubrovnik, Croatia; Corfu, Greece; Malta; Naples; and ending at Genoa in Italy. After that the new flagship will sail three seven night inaugural cruises around the Western Mediterranean starting from November 8th 2014. The ship will visit Genoa in Italy but that will only be on the first of the three cruises. Costa Diadema will make calls at Marseille, France; Barcelona, Spain; Savona and La Spezia; Palma de Mallorca, Balearic Islands; and Naples. The 132,500-ton ships normal service will begin on November 29th 2014 which will be the 2014-15 winter season. Diadema will be sailing seven-night cruises all season departing from Savoa, italy and making stops at Marseille, Barcelona, Palma de Mallorca, Naples and La Spezia. Costa Diadema is currently being built at the Fincantieri shipyard in Marghera, Ital and will be the new flagship of the fleet. Are you looking forward to the upcoming Costa Diadema cruise ship? Let us know in the comments below.